IN PRODUCTION. Actress Trine Dyrholm teams up once again with May el-Toukhy for the director's second feature film, 'Queen of Hearts,' in a story of a fall from grace. 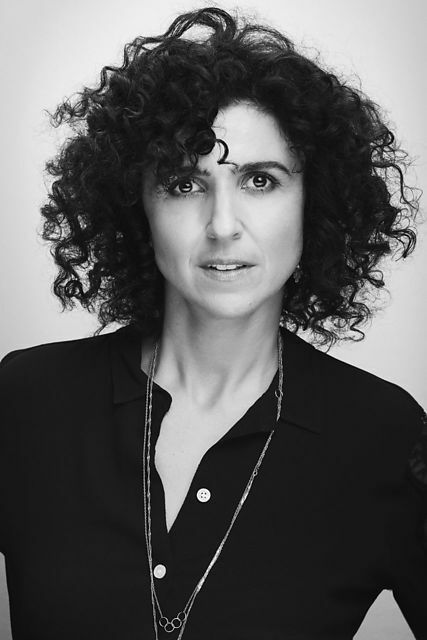 Shooting has just been completed for the psychological drama 'Queen of Hearts,' which is director May el-Toukhy's second feature film after her critically acclaimed 'Long Story Short' from 2015. Director. Born 17/8 1977. Graduated from the Danish National School of Performing Arts in 2002. In the film, Trine Dyrholm plays the role of Anne who conducts her life with great authority. She is successful and uncompromising in her work as a lawyer and happily married to a doctor, Peter, with whom she has two daughters. But when she seduces her stepson, she risks losing everything. The film is a portrait of a woman drawn towards choices that have fatal consequences. Trine Dyrholm was awarded the Silver Bear at the Berlin Festival for her role in Thomas Vinterberg's 'The Commune' (2016). She played the title role in 'Nico, 1988' (2017) and also featured prominently in Denmark's Oscar entry 'You Disappear' (2017). Additional actors include Gustav Lindh, Magnus Krepper, Preben Kristensen, Mads Wille and Stine Gyldenkerne. El-Toukhy wrote the script with Maren Louise Käehne, continuing their collaboration from 'Long Story Short,' for which they won a national Bodil Award for best script. Käehne wrote several episodes for the television series 'Borgen' and 'The Bridge,' and her latest credit was for Ali Abbasi's 'Shelley' (2016). 'Queen of Hearts' is produced by Caroline Blanco and René Ezra for Nordisk Film in collaboration with Nordisk Film Sweden and is funded by the Danish Film Institute with additional support from Danish broadcaster DR, the Swedish Film Institute, Swedish broadcaster SVT and Nordisk Film & TV Fond. The drama will premiere in Denmark on 28 March 2019.